Rats are scavengers in the wild and will eat a variety of food. 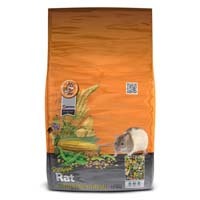 Your pet rat should eat a varied diet which should comprise of a rat food containing a mxiture of seeds and biscuits. 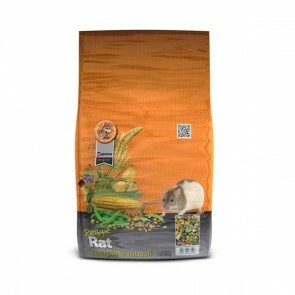 The rat food should be supplied with washed and dried vegetables such as Apples, Carrots, Cress & Tomatoes. Treats & Snacks should be fed in moderation to avoid upsetting your rat's stomach. Uneaten food should be removed daily and their bowls should be washed thoroughly. Rats drink plenty of water incomparison to other rodents of a similar size, so make sure clean, fresh water is available at all times. Lastlly rats should have plenty of things to chew to avoid dental problems and to keep them for being bored. Rat & Mouse Food: 5 stars out of 5 based on 0 user reviews.